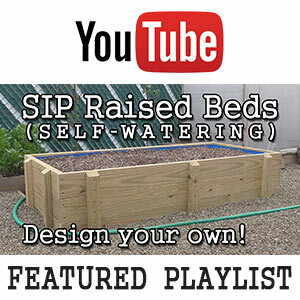 Setting up a self-watering bed or planter can be a fun and rewarding experience. Growing vegetables becomes a joy, rather than a chore. And if the soil is prepared well, the plants can grow extremely large and fast, especially since water is no longer a limiting factor to their growth. However, managing nutrients can be a very challenging and sometimes confusing aspect of SIP gardening. Essentially, you are container gardening. This being the case, the strategies for fertilizing are slightly different from conventional in-ground or free draining raised bed gardens. 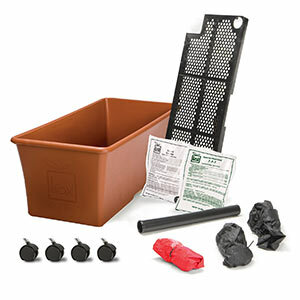 When you first set up your sub-irrigated growing system, you have a variety of options for filling your planter. In general, you will get best results if you use potting mix components. This is primarily due to their beneficial physical properties. However, such components may be inert or relatively void of nutrients. Thus, nutrients must be added along with the other components, while not impairing properties like water retention or pore spacing. CONVENIENCE OF RETAIL: In their first year, most SIP growers have experienced tremendous results by using retail potting mixes to fill their planters. Many commercial mixes, such as Scott's Miracle Gro, contain all the nutrients needed for several months of healthy plant growth. So, check to see if your mix contains fertilizer. If so, you don't need to add any more. CUSTOMIZING A POTTING MIX: A good potting mix will already be pH balanced. Thus you should not need to lime. However, adding a little granular dolomitic lime won't hurt. It would simply supply a slow release of extra calcium and magnesium. If you want to add extra nutrients in a pre-fertilized mix, you can create small fertilizer bands or strips that are positioned a few inches away from your plants. Certainly if you expand the volume of your mix by adding perlite and/or pine bark mulch then it is good to add nutrients in proportion to the added volume. This is especially useful if you are adding bark products to offset any nitrogen draft that may occur. This is a customized retail potting mix I successfully tested in 2012. DIY POTTING MIXES: If you decide to create a homemade potting mix from base components, there will be more factors for you to consider. 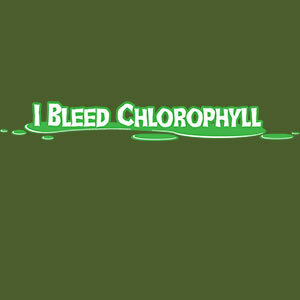 You'll be responsible for any pH adjustments and also for adding all essential nutrients for plant growth. This method gives you more control and it can teach you a lot. It might save you some money too. 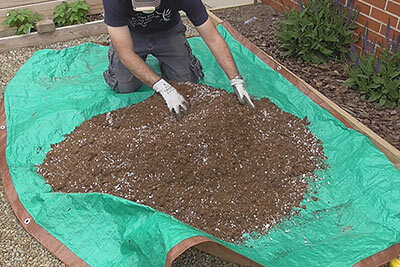 ADJUSTING pH: If you are using peat moss that has not been treated with lime, then it will be acidic. To adjust the pH, dolomitic lime is the recommended solution. It will safely raise the pH while adding both calcium and magnesium. It is much safer for use than hydrated lime which is easy to over-apply. A powdered form of dolomite will react faster and is good for initial pH adjustments. Once your potting mix has been prepared, apply the dolomitic lime several weeks in advance of fertilizing if possible, mixing it in and watering well. SYNTHETIC FERTILIZERS? Now you're ready to apply the fertilizer(s) of your choice. You can choose between synthetic, organic or even a combination of the two. Some synthetics only supply 3 basic macronutrients (NPK). Without supplementation, your plants may experience deficiencies. So you may decide to look for a synthetic that includes micronutrients. Even with micronutrients, some synthetics exclude calcium and magnesium. To supply these vital minerals extra dolomite can be used. Some sources warn against time release such as Osmocote. My testing has shown zero issues when applied as directed. GOING ORGANIC? Many gardeners prefer organic vegetables. In SIP systems organic fertilizers can yield impressive results. 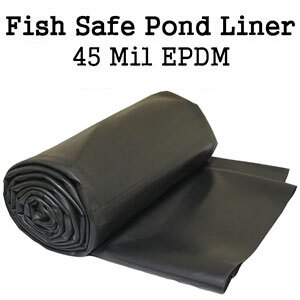 They tend to be less water soluble (reducing runoff) although they usually require larger application rates. 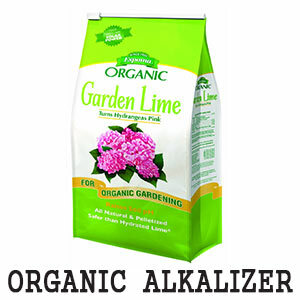 A good all purpose organic fertilizer will have everything your plants need. These often contain calcium and magnesium in addition to micronutrients. Thus, if your soil pH is ok dolomite should not be needed. Espoma Garden-Tone is a classic example of such. Of course, some fertilizers are specially formulated for certain plant types. Espoma Tomato-Tone has lower nitrogen but higher potassium for increased fruit yield.